Council and Committee Meetings are usually held on Mondays in the Council Chamber. If further meetings are held details are published on this website and the Council Chamber noticeboards. 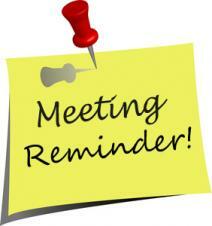 All meeting agendas are published at least 3 days before a meeting is held. Working Parties may be constituted by Committees as necessary, and membership determined by the parent committee as required (these do not have to be councillors). Please note that up to 15 minutes before Council and Committee meetings is available for members of the public to put comments and/or questions to the Council/Committee.